If you’re in the market for a new smartphone but don’t want to pay the, let’s be frank, not so advantageous monthly price of a service provider contract phone, you could decide to look for a “behind the curve” model. That is a secondhand smartphone that’s perhaps a year or two old, but still functions perfectly adequately. There are several good sources for ‘behind the curve’ phones including Mobile-Base and Amazon. 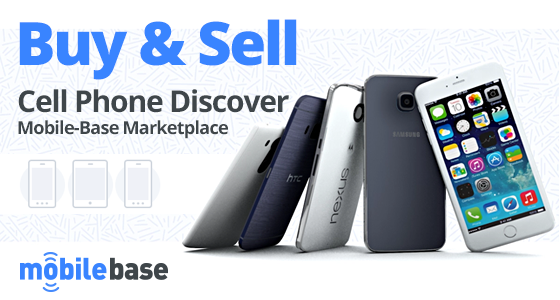 These sites often have deals on newish phones at close to used prices. 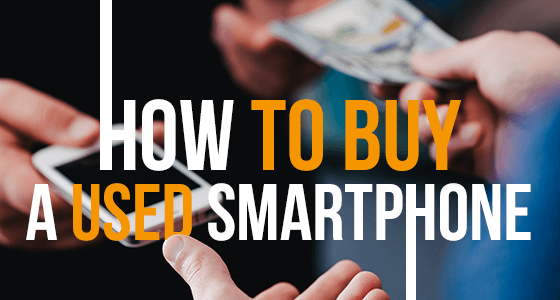 But if you do decide on a second-hand smartphone, it’s vital to bear in mind some of the potential phone buying pitfalls. The first thing to consider is what type of second hand phone option you want. Save money on a popular brand second hand phone from a previous owner. Or pay more for a refurbished phone. A refurbished phone is one that has been tested, fixed and made serviceable by a retailer. If you opt for this route, make sure you get a guarantee, even if it’s for a warranty of only six months. If you decide to go the second-hand route, it’s vital to check that the smartphone works correctly, and above all, that it isn’t stolen. If it is and you buy it, your mistake will be discovered as soon as you try to fit a new sim card into it. The phone will die on you, not only that, you could be held responsible for handling stolen goods. 1 in 4 mobile devices checked has a significant used history. To check if the phone is clean and not stolen you need to run a check on the IMEI (International Mobile Equipment Identity) number. To find the IMEI on the phone check under Setttings/About Device on Android, or punch in *#06#. The IMEI will instantly appear on the screen. You can then check the phone’s status at sites such as IMEIPro or CheckMend, said to be the world’s largest data resource on smartphones. While there is a small charge to check on this site, it’s well worth the price. Equipped with the IMEI number you can quickly find out the phone’s full specifications and its history, whether or not the Seller wants you to know about it. It’s like a VIN check for vehicles. As soon as dodgy sellers realize you know about the requirement of checking for the IMEI, they may well quickly back off and try their luck with a less savvy buyer. Whenever possible it’s always best to meet the seller face to face. Buying sight-unseen from eBay or sites that are not rigorously monitored can quickly lead to buyer’s remorse. Sites such as Mobile-Base are monitored, and in the event there is a provable problem they will intercede on your behalf, because all Sellers are vetted. Another important point to check is whether you have the right size sim right size sim for the phone you want to buy, but you can always pick up a cheap one. An important advantage in viewing a phone face to face rather than online is that you can check for scratches, dents, screen cracks and full functionality. Don’t forget to check the camera lens for scratches or misting. If the back opens, open it: the smartphone should be clean inside, and the battery still serviceable. Getting the best bargain for your purchase of course involves several factors including the age of the phone, the condition, the model, whether it’s brand new in box, all the usual variables, however, before you start discussing price, have a good idea in your mind as to what the same model is selling for elsewhere. It makes it much easier to spot a bargain price, but then is a bargain price truly a bargain. Only homework can help you decide. Across the States there are dozens of sites that cater to refurbished phones including Mobile-Base, BestBuy and Overstock. Then of course there is eBay and Amazon. With the exception of eBay, you can spread the cost of your purchase with a credit card and even opt for added protection to guard against any technical or hardware problems. If you decide to buy from a bricks and mortar store, remember to bring along a laptop, a charging cable, earbuds or headphones, and even a microSD or SD card. Check the smartphone charges by plugging it into your laptop to make sure it charges. Check the headphone jack and card slot. Place your own sim in the phone and make a phone call. If the smartphone is locked to a certain network provider which you don’t want, you can quickly, easily and cost effectively unlock it with UnlockBase, the leading online remote unlock service. You can also bargain down the seller as it should be cheaper than an unlocked phone. An unlocked phone gives you complete freedom to choose your own network at a price you want to pay. Smartphones usually have hidden codes that provide access to extra information and self-test routines. As an example of this, Android phones, *#*#4636#*#* will provide usage statistics and battery information, while *#*#0*#*#* will run an LCD display test. A useful site for checking out codes is Redmond Pie. You can also research the phone you’re after on a YouTube. You can alternatively run an app test such as Phone Tester for Android or Phone Doctor Plus for Android and Apple’s iOS. These apps will give you a quick gauge of the smartphone hardware and the state of the battery. There’s no excuse for not doing your homework, it takes just a few minutes to save yourself a lot of hassle down the line. Armed with this information and plenty of due diligence, you should be able to find a good quality second-hand or refurbished phone at a good price. Mobile-Base is a dynamic new site that offers customers around the world a safe, secure and properly vetted buying experience for mobile phones of all kinds and for all budgets. With over two billion mobile phones currently in use around the world, there’s always a great bargain to be had, but when you buy remotely it’s often difficult to know what you are getting. Instead of working with Sellers you don’t know or trust, Mobile-Base takes the time and effort to work with cell phone stores and dealers around the world who are keen to work with us. They want to extend the good service and reputation they have built up in traditional bricks and mortar stores and start to offer their products and services online. And because every dealer is checked, buyers can feel confident that they will receive exactly what they pay for. The site is designed to be easy to navigate, and refreshingly fast to find exactly what type of phone or device you are looking for, or where is the best section for you to sell your own wares. Whether you’re looking to buy, or you want to sell a phone, you can be up and running on Mobile-Base fast. Whichever model you are looking for from a wide choice of brands, if you don’t find what you want straightaway you can subscribe to the site and we’ll let you know as soon as a seller offers the phone you are searching for. With each Seller we feature you can quickly check what inventory they have on the site, as well as their pricing history. If you find better value, just move on, Mobile-Base is like a multi storey shopping mall that only sells phones and devices, so there’s a lot of choice. We make sure everything runs smoothly. Mobile-Base has a a team of ten dedicated mobile phone experts working 24/7 to review and monitor every single deal posted on our site so as to offer maximum protection to our customers, and to ensure prompt and efficient payment for our trusted dealers. So whether you’re a webmaster or a cell phone store owner, you should get in touch to find out more about our affiliate program and details on how you can make some serious money by trading your phones with us. In addition to selling new or newish phones and devices, you can even buy or sell older products, many of which are rare and no longer in production, in our special section called Re-Boot Hill. There is still a thriving market for older phones, tablets, iPads and other devices, as well as all those easy to lose accessories such as chargers and cables that go with them. And even though these are older products you’re still protected to make sure you get exactly what you pay for. All item descriptions must be accurate and truthful. In the coming months we’ll be adding informative articles on best practice for buying and selling mobile phones and other devices remotely. There are already articles on how not to get scammed, how to find that all important IMEI, and how you can make money from older devices. You can learn a lot without having to lift a finger. Rather like a smartphone, Mobile-Base is a two-way communications tool. We tell you what’s out there, you tell us what you want and how you want the site to improve. We’re here to listen to what you need to make ours the best mobile phone market on the web. Check us out!